Partners were discussing the progress of work package on Exchange of experience, preparing the final templates for Regional Analysis and gathering of good practices in transferable projects, management and strategic focus of the operational programmes. The HoCare project aims to improve the implementation of regional development policies and programmes that support the delivery of innovation by actors in regional innovation chains. Two representatives of the Interreg Europe Programme’s Joint Secretariat Mrs. Marie Guitton and Mrs. Ilaria Piazza virtually attended the meeting providing the information about the reporting procedure after the first semester of the project. Focus of the meeting was also on designing a concept of international thematic workshops. First of them will be organized in January 2017 in Funchal (Portugal) with focus on generation of innovation by addressing unmet needs identified by formal and informal carers. The second and third thematic workshop will take place in Budapest (Hungary) and Ljubljana (Slovenia) in the beginning of 2017. 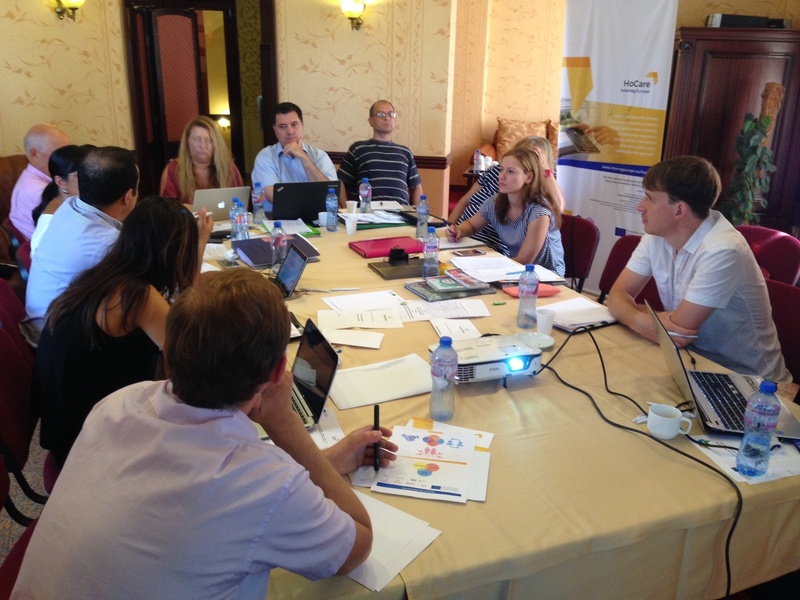 During the project meeting in Varna partners met with members of Bulgarian multi-stakeholder group and discussed about the project. The discussion was moderated by Mrs. Silvia Stumpf from Business Agency Association from Varna. To increase the chance of achieving policy exchange, project partners actively involve relevant stakeholders from their regions in the activities of the project. Members of Local Stakeholder Group are usually formal and informal providers of health care, industrial actors or business support actors related to Home care industry, research actors and public actors. The HoCare project deals with the issues of ageing population. The 4 year project (April 2016 - March 2020) was approved within the Interreg Europe programme financed by the European Regional Development Fund. Interreg Europe programme helps regional and local governments across Europe to develop and deliver better policy. The partnership is led by the Nicosia Development Agency (ANEL) from Cyprus. Project HoCare aims to positively influence efficiency and impact of Structural Funds. The results will be achieved mainly thanks to 4 dimensional international policy learning processes. Initial content for it will be created by partners during Regional analysis, further investigated during 3 International Thematic Workshops. It will formulate 30 transferable Good practices and enable formulation of high-level outputs: 3 HoCare Policy Thematic reports and 3 HoCare Policy Transfer Reports. Collected knowledge will enable project to contribute to EU external policy learning by organizing 2 international and 8 National High-Level Policy Learning events. Local partners will be working closely with local Structural Funds policy to multiple stakeholders of different types of organizations.